Three violent criminals serving out multiple life sentences on an orbital penitentiary spaceship are given a final chance for redemption: help the police track down criminals on earth in exchange for shortened prison terms. The show pulls you in immediately with this concept. You are almost forced to root for these bad guys, as they in turn work to outrun more bad guys. They are equipped with collars that will explode if they do not complete their mission within an allocated time period. The idea is simple, but the execution is brilliant, with a fun soundtrack, lots of sci-fi elements such as cities run by machines, the evolution of technology, as well as some horror elements with references to vampires and lashings of blood and gore on top. The main characters are likeably rude and violent, contrary to the typical image of a hero. 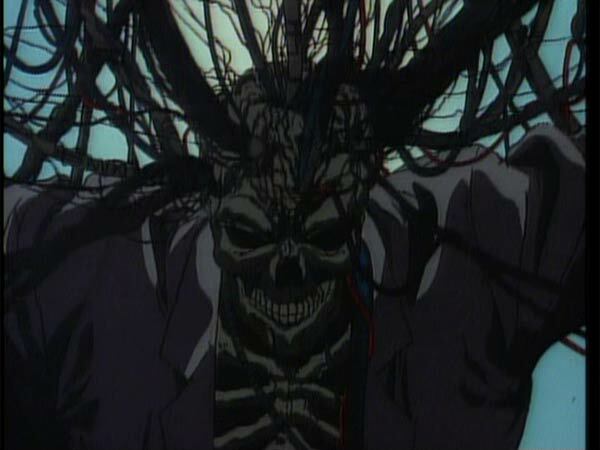 Most of the action is set in Oedo, a futuristic Tokyo, which has been entirely overtaken by computers, everything is run by machines and there is a dark, claustrophobic atmosphere of metal walls and towering structures. 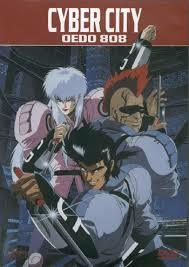 There are only three episodes of this show, with each episode following one of the main character on a mission. Worth watching, with some great animation, music, and fast paced action scenes.